Although the majority of North America's gay ski weeks take place in the West (think Aspen, Park City, Whistler), the charming and picturesque town of Stowe, Vermont has been hosting its own increasingly popular gay ski gathering for more than three decades. Winter Rendezvous takes place over five days in late January -- here's how to learn more and register for 2018's upcoming event. Note that each year there's at least one other well-attended gay ski weekend in New England, White Out Weekend at Sunday River in Maine (it's typically held in early-mid February). In addition to daily downhill skiing and snowboarding on Mt. Mansfield and Spruce Peak, the five-day festival features plenty of other outdoorsy activities, including snowshoeing and cross-country skiing at the Trapp Family Lodge Nordic Center and dog-sledding at Stoweflake Resort. Plus there are the social goings-on -- typically, parties (a classic disco ball one night, a blow-out house party the next), "Sound of Music" singalongs at the Von Trapp Family Lodge, social mixers and apres-ski gatherings, dances, a downhill drag costume fundraising competition, an ice-carving contest, and all sorts of fun entertainment. New for 2018 is an opening night mixer party on January 17 at the retro-hip and cool new ​Stowebowl boutique bowling lounge, which has eight lanes of bowling but great food and drink options. Also, hilarious comedian Julie Goldman makes a triumphant return to the stage at Spruce Peak Performing Arts on January 18, legendary gay icon Miss Coco Peru will make an appearance and top DJs will be spinning the Blow Out Party to close out the event—and that's only a small sampling of the fun in store. 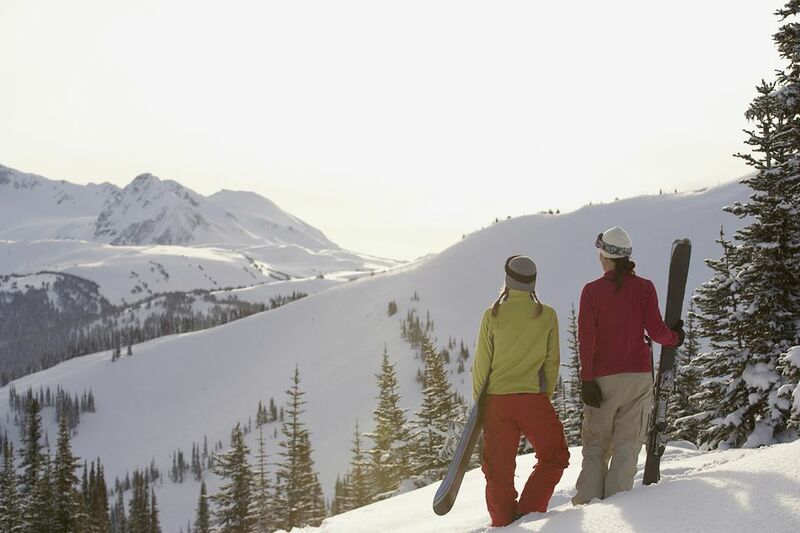 You can register for Winter Rendezvous here as well as find links to purchasing lift tickets and other outdoor activities. Stowe Gay Ski Week's official host hotel is the stylish and contemporary Golden Eagle Resort, which is offering several different package options for two to five nights, occupancy from one to four guests. Other participating properties include the elegant Stoweflake Mountain Resort & Spa, the famed Trapp Family Lodge, and Stowe Motel & Snowdrift Inn (an excellent value with nice rooms). Of course, no gay ski week would be complete without plenty of nightlife options. Check out this guide to gay-friendly restaurants and bars in Burlington, Vermont, which is a relatively short drive from Stowe. For general tourism information on Stowe, check out the website of the Stowe Chamber of Commerce.